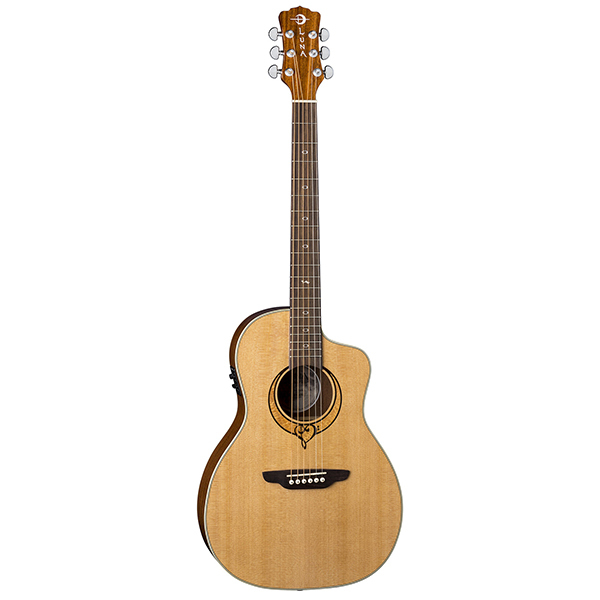 Our popular Heartsong line has now been enhanced with the addition of a 12 String Guitar! 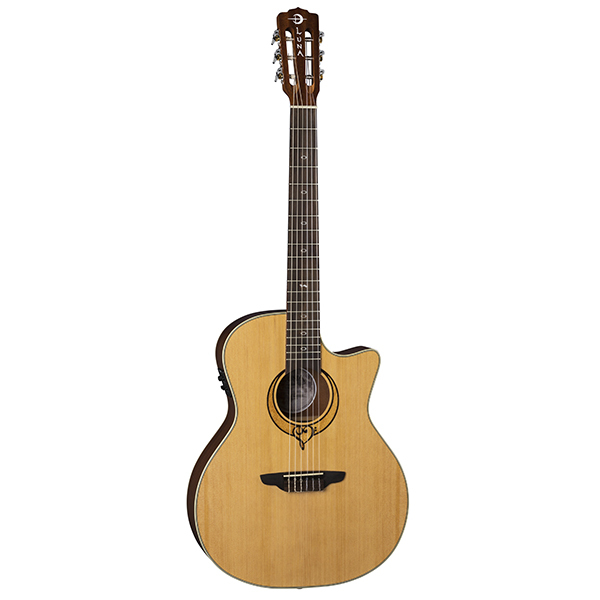 Twelve-string guitars feature twelve steel strings in six courses, which can produce a richer, more ringing tone than a standard guitar. 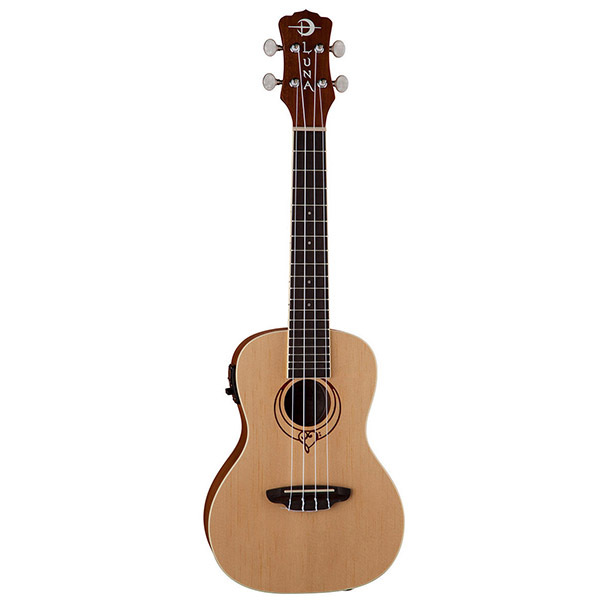 The neck is a touch wider as well, to accommodate the extra strings, and is similar to the width of a classical guitar neck. 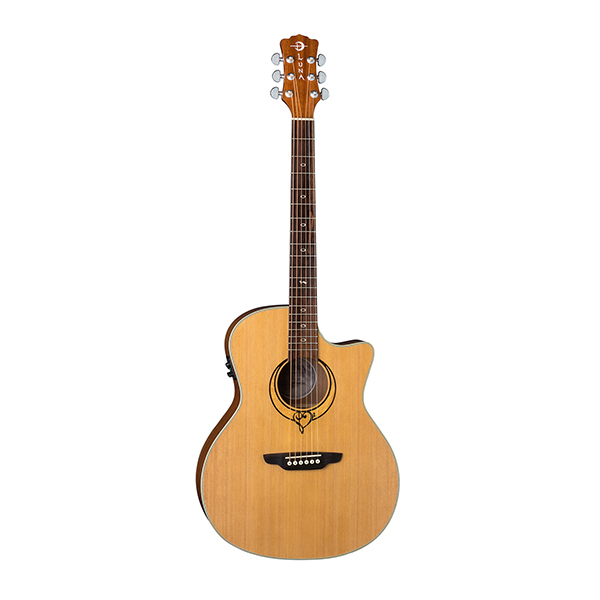 Many players say the sound is fuller and more harmonically resonant than six-string instruments. The Fishman Presys II pre-amp with built-in tuner ,1/4" and USB outputs faithfully recreates the amplified sound of this impressive 12-string. With it's "record-on-the-spot" solution compatible with any USB-supporting Apple or Windows laptop, smart phone, iPhone or iPad, you get plug-and-play capability into your favorite recording software. No external USB power, or powered USB bus/hub, is required. Now you can record your songs and ideas directly into your device, using your favorite recording app... simply plug in and go!